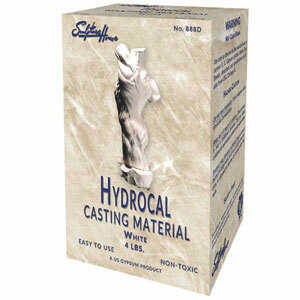 Hydrocal Casting Material - White - 4 lbs. Home → → Hydrocal Casting Material - White - 4 lbs. For strong casts, Hydrocal works as easily as plaster. Use it where strength counts; for patterns, figurines, commercial casts, and sculpture. Ships as Item No. 888D - Single 4-lb. unit.